Photographs create memories for life that you can share. 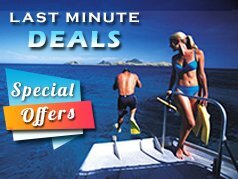 Capture those special Thailand diving moments! No photo experience required! That's what the programme is for - showing you how to take award winning pictures ... underwater. Digital cameras are changing underwater photography. Today you can return to the boat and not only look at your photos immediately (after you already saw them underwater), but with a computer or laptop CD or DVD writer, you can give your buddies copies before the second dive. When you get back home or to your Phuket hotel room, you can upload your good shots and share your Thailand dive vacation adventures with friends and family around the world. 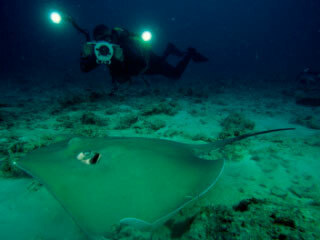 During your PADI Underwater Photographer programme you'll go on 2 open water dives, which may be conducted in 1 day. This is where you'll put in to practice the tips and techniques you learned from your instructor and the PADI Underwater Photogragher Manual and video. If you're a bit intimidated by the idea of underwater photography, don't be. The PADI Digital Underwater Photographer course is designed for those who've never touched a camera before, as well as for people who shoot topside. Whether you're interested in simple snaps to share with friends or interested in pursuing photography as a dedicated enthusiast, the PADI Digital Underwater Photographer course guides you to good results quickly by taking full advantage of digital technology benefits. Boat Dives: 3 (not the standard 2 dives!) - You choose dive sites from Racha Yai, Racha Noi, Phi Phi Islands, Shark Point, Kingcruiser Wreck and Anemone Reef - Note: 2 dives are part of the course, and you get 1 extra "fundive"! Note: If you prefer, you can pay for your course on the start date here in Phuket.